Our grand Ballroom is one of a kind. 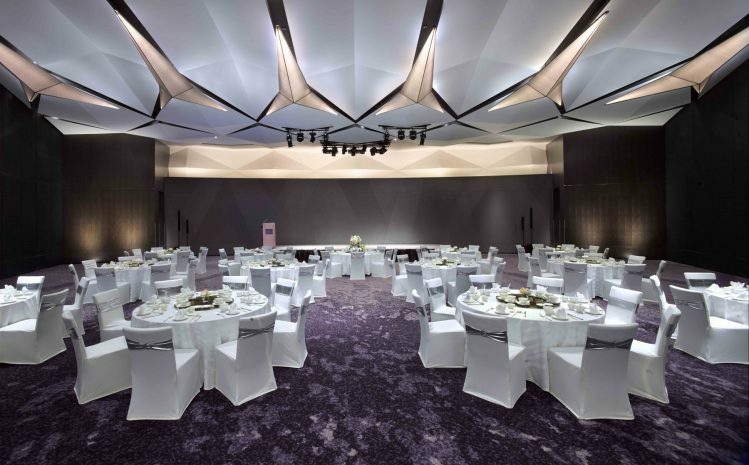 With its sleek curvature and intricately designed avant-garde ‘Wau Bulan’ sculpted ceiling, it is a vast meeting space that leaves lasting impressions. With an interior that combines local motifs with chic French style, it can be conveniently divided into three separate rooms. Wau Bulan Ballroom is also adjacent to seven excellent meeting rooms, perfect for conferences or functions, and a dedicated business center equipped with printers and computers. Following a successful day of brainstorming and negotiation, treat yourself to treatment or massage in the luxury spa.